Jan Millsapps, Ph.D., is a pioneering digital filmmaker, an early web innovator, and a versatile and accomplished writer. 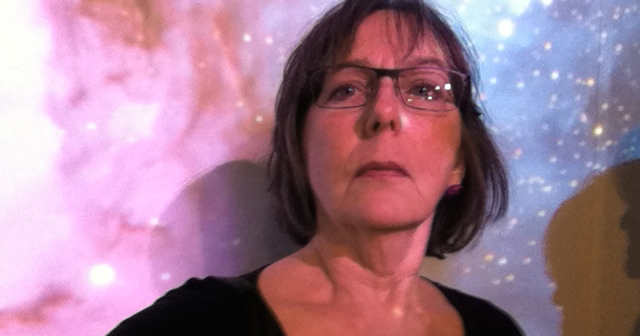 She has produced films, videos, digital and interactive cinema on subjects ranging from domestic violence to global terrorism, and has published in traditional print and online venues. Her media work has been shown at the Smithsonian Institution, the Kennedy Center, the International Center of Photography in New York, the National Educational Film and Video Festival, the Mill Valley Film Festival, San Francisco City Hall, the National Latino Health Conference in Washington, D.C., Bay Area Kaiser Permanente medical centers, and USC’s “Interactive Frictions” conference on new media theory and practice. Her scholarly, political and personal essays have appeared in the journal Film Literature Quarterly, in the book International Film, Television and Radio Journals, in the San Francisco Chronicle, on the New York Times wire service, and in the inaugural issue of Sinister Wisdom. Her early web work was cited in a 1995 book, The 500 Best Film & Video Sites, and in the Journal of the Writer's Guild of America. She has been a featured blogger on the Apple Learning Interchange and a contributing editor for the online, rich media journal, Academic Intersections. In 2007 she published her first novel, Screwed Pooch, about the Soviet space dog Laika. She was profiled as an outstanding California educator in the 1998 television series Quest for Excellence, and in 2004 she was named an Apple Distinguished Educator. She earned her B.A. with honors in Creative Arts at the University of North Carolina at Charlotte; her M.A. in English at Winthrop University; and her Ph.D. in Rhetoric and Composition at the University of South Carolina. She also holds an academic certificate in cosmology from the University of Central Lancashire in England. She lives in San Francisco with her husband, music and media producer Phill Sawyer. On November 3, 1957, Laika rode Sputnik 2 into outer space, the first living creature to reach earth orbit - but unlike all the animals and humans who followed, hers was a one-way ticket only. Meticulously researched, 'Screwed Pooch' sheds light on Laika as the first space pioneer and examines her role in the early space race as both victim and heroine. Most importantly, Millsapps gives a distinct voice to the canine cosmonaut whose ultimate sacrifice paved the way for human space travel a few years later. An interview with Jan Millsapps, in which she discusses initial inspirations for her writing (dogs), why she writes what she writes (to tell the untold stories about unconventional women), and how she hopes her writings affect her audiences (some thinking is required, but not so much as to make one's head hurt). Presentation about how innovations in book formats and distribution are changing the ways we write and read them. 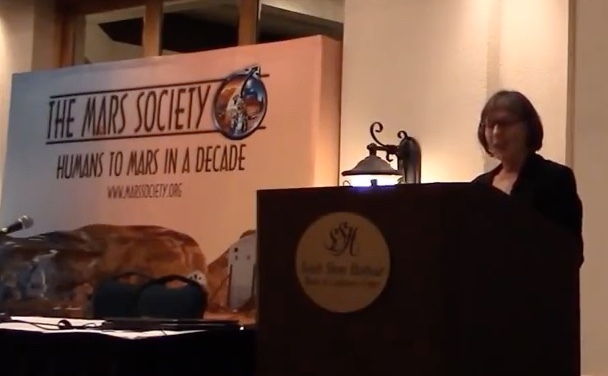 Presentation about women and Mars at the 2015 Mars Society Convention in Houston, TX. 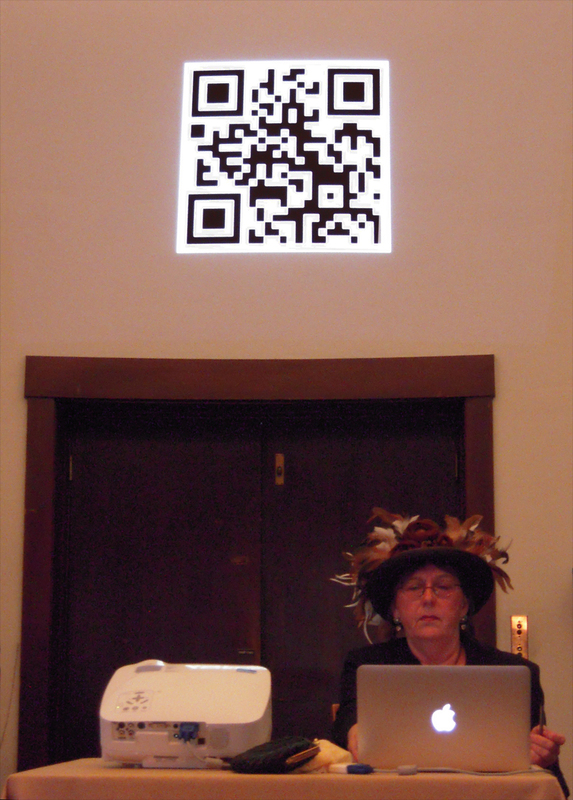 Author Jan Millsapps appeared as character Wrexie Louise Leonard at the book premiere event at Lowell Observatory in Flagstaff, Arizona.